Constance Verity has been saving the world since she was seven, and she's sick of it. She sets off on one last adventure to reset her destiny and become the one thing she's never been: ordinary. 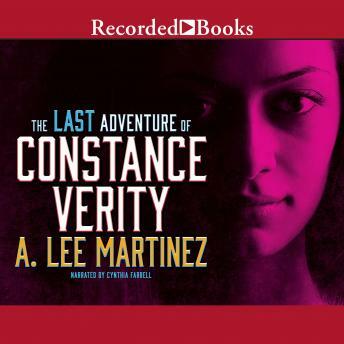 Ever since she was granted a wish at birth by her fairy godmother, Constance Verity has become the world's great adventurer. She is a master of martial arts, a keen detective, and possesses a collection of strange artifacts. Constance has spent the past twenty-eight years saving the world, and she's tired of it. All she wants is to work in an office and date a nice, normal guy. And she's figured a way out. The only problem is that saving the world is Constance's destiny. She's great at it, and there are forces at work to make sure she stays in the job. Then again, it's also her destiny to have a glorious death.